All businesses need to have a marketing strategy so that they can make money. The best way to put together this plan is to have a record that can be referred to by all parties. A tactical marketing plan template will assure that the business and its partners have the required information in one document. That’s why a business to should use a template that can be customized to their exact needs. A template provides a fill in the blank product that lists every possible issue that needed for the best possible tactical marketing plan. With the tactical marketing plan template, a business can easily produce a plan of action that includes all angles of a professional and logical marketing scheme. 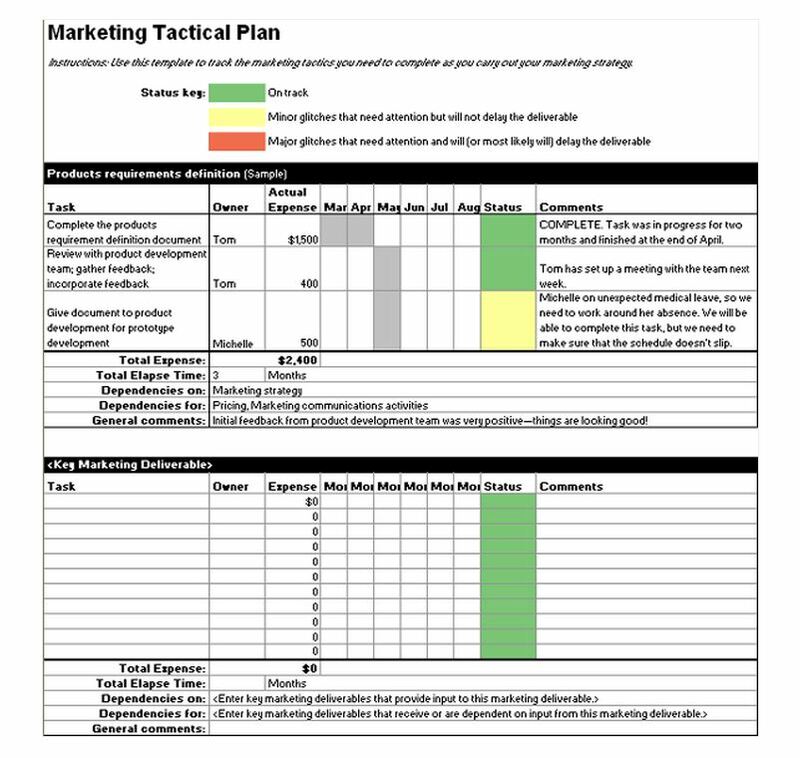 Download the tactical marketing plan template, and save it to your computer. The template is available free on this page and is completely customizable to your company’s needs. Next, fill in the customizable business information, including all of the business’ contact information. Second, fill out the fields required for the business objectives, targeted market, message summary, metrics, call to action, process, opportunity requirements, your business criteria, project plans, metrics and prospects, approvals and any additional requirements. Third, after completing all the fields, give the file a specific name so as not to copy over the original tactical marketing plan template and then save it. First, be certain to have all required data ready to fill in the required fields. This can be done by completing a rough draft and copying the information from it to the marketing plan template. Second, verify the information. Be certain you have included all of the required facts and figures. Ensure the spelling is correct, as it is unprofessional to have misspellings or bad grammar. Third, it is vital to keep back-ups of all of business documents. Therefore, save the finished template in a safe location and make a second save onto a a portable hard drive or cloud drive for future reference. This way if the first copy is ruined or accidentally deleted you will have another one ready to go. All businesses are required to have a tactical marketing plan so that they know where they stand when it is time to execute their marketing methods in real time in the prevailing market whether this is online or offline. By using the downloadable and free tactical marketing plan template your company can do this quickly, easily and professionally every time.